Take a trip to Munich when you play Oktoberfest Spins Jackpot Slots! The reels are packed with steins, snacks and more & the wins are better than ever! 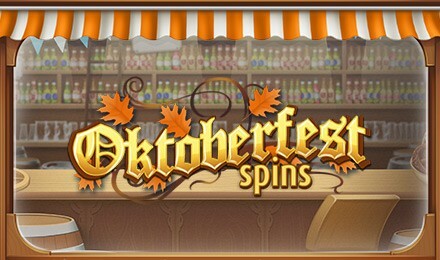 If you love beer, tasty German treats and winning big, then play Oktoberfest Spins Jackpot Slots today! Look out for the Beer Keg, which represents your Wild, as well as the Dog Bonus, which will trigger your Picking Game when 2 appear in the middle of the 1st and 5th reels. There’s a Progressive Jackpot for extra big wins, as well as a Free Refill Bonus with FREE Spins and an Expanding Wild. Good luck!